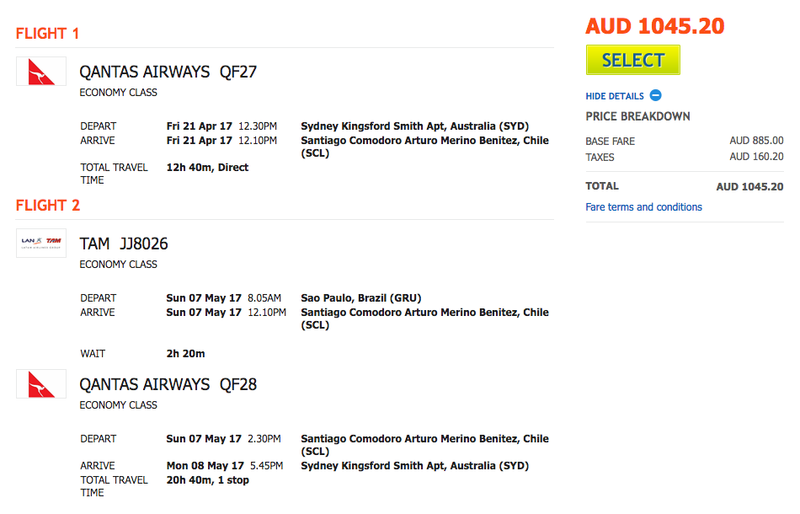 There is a great sale for the next week for flights to Santiago and Sao Paulo from Sydney, Melbourne, Brisbane and Adelaide in April-May next year. You can combine both destinations for as little as $33 more (see example below). Obviously, April-May is autumn in these Southern Hemisphere countries too. For comparison purposes, Sao Paulo is slightly warmer than Sydney at this time of year, and Santiago is slightly cooler than Melbourne. Booking link: Go to STA Travel to make a booking before 23 August. Prices are currently lower through STA Travel than Qantas. 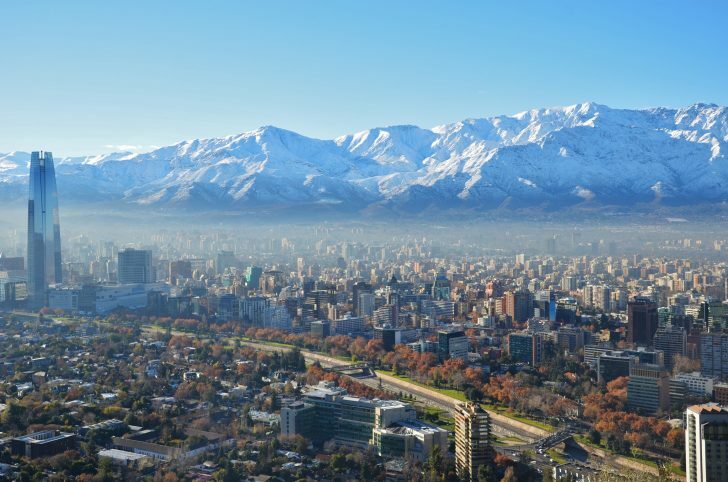 Featured image of Santiago courtesy of Flickr user ccordova.